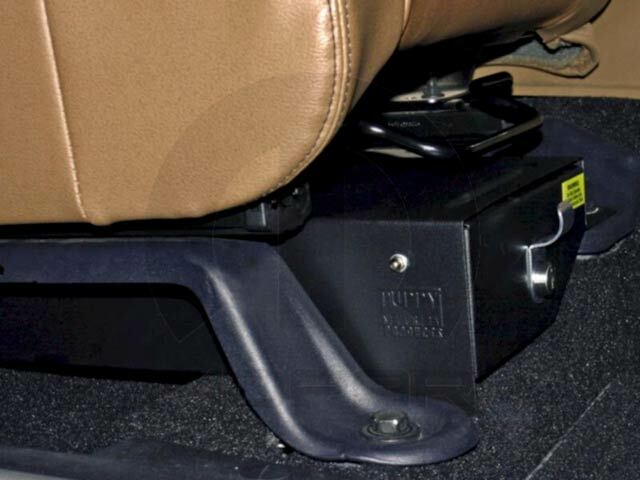 Under Passenger Seat Lockbox provides 324 cubic inches of lockable storage space in your 2007-2018 JK Wrangler. Durable 16 gauge steel with a textured powder coat finish, easy to install, includes two keys. Keep your valuables out of sight by locking them in this secure storage compartment. Removable divider with multiple set-up options allows adjustable compartment sizes and prevent cargo shifting and sliding.